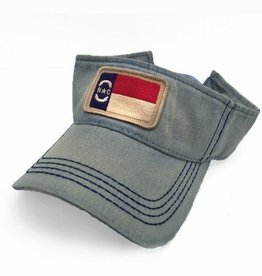 The Great State of Kentucky flag cap! Designed by our staff in New Bern, NC. 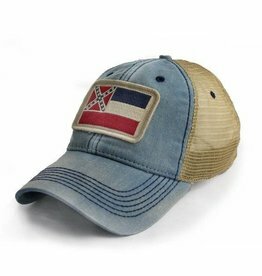 The Kentucky Flag Hat has a Salt-Wash™ to create a weathered, heavily sun bleached look. The high thread count embroidered flag patch creates a vintage look.